Close your eyes. Breathe deeply. Clear your mind. This Friday, August 15, is National Relaxation Day. 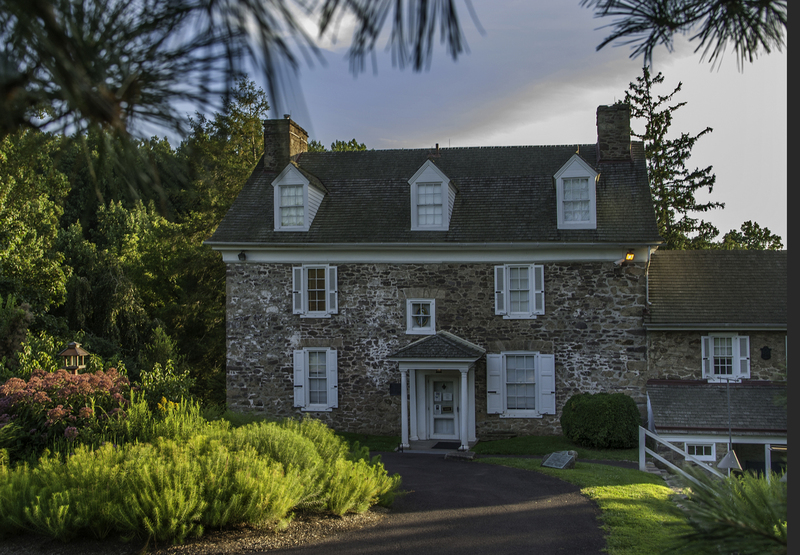 If you&apos;re unable to slow down the pace of your day-to-day mayhem on your own, an excursion in Montgomery County, Pa., will definitely knock your stress level down a few notches. The John James Audubon Center at Mill Grove is indeed a wildlife sanctuary, dedicated to the care and protection of birds. But it&apos;s also a sanctuary for humans, offering a break from the hustle-bustle of traffic and the din of office work. Among the programs designed to help visitors unplug are the guided canoe tours. On a recent afternoon, I joined a band of eager adventurers about to embark. The outing starts with a quick how-to lesson in canoeing from Education Manager Carrie Barron. She reviews equipment (life jacket, paddle, binoculars, all supplied by the center) and marches us down to the creek. The sun is brilliant, and our steps are accompanied by choruses of humming cicadas. I watch two butterflies in an intricate waltz, and at this point, I&apos;m so disconnected from my normal schedule, I&apos;m not sure I could recite my e-mail address if I were required to. Four canoes are waiting on the shoreline. Barron coaches us on boarding. The canoes are stable and we load - two paddlers per craft, one in front, one in back - without incident. "For anyone worried about getting wet, let me tell you that it&apos;s very rare," Barron assures. "I&apos;ve only had one or two canoes overturn in five years, and one of those had a bunch of ten-year-old boys who flipped on purpose. Besides," she continues, "the water levels are down. You could probably just stand up and get back in the boat." We launch and head west. The trappings of 2014 fall away completely, and I imagine this waterway in Native American times, travelling on canoes made of animal hides rather than fiberglass. Barron is all eyes, searching for wildlife to point out. We navigate to the south side of the creek. Barron shows us a family of mallards huddling by the bank. We paddle past a fallen tree, and Barron motions to a pair of snakes sunning themselves. They are virtually invisible until she highlights the tapered tails. We also see evidence of fresh-water clams, their open, white shells on the bottom of the creek. The star of the show, understandably, is the abundant bird life. Responding to the sharp cry of a Red-tailed Hawk, Barron scans the sky to find the predator. Soon, she points out a winged hunter zooming against the brilliant blue background of a cloudless day. In the distance, just about to slide from view over a hillside, is a large bird that escapes before Barron can identify it. "It&apos;s either a Bald Eagle," she proposes, "or a Turkey Vulture. The way you can tell the difference is that a Turkey Vulture is among the laziest birds around. They will do anything to stay on an air current and avoid the exertion of actually flapping. So as they wobble back and forth to find currents, they look like they&apos;re drunk. Turkey Vultures always fly like they&apos;ve been drinking." The mystery bird comes back into view, and its awkward flight path confirms the issue: "That&apos;s a Turkey Vulture." Her expertise starts catching. I hear a shrill cry, something like the supercharged meow of a kitten, and look up. Atop a dead tree whose leafless branches soar to the sky, I see a bottle-shaped creature with a hooked beak. "There," I point to Barron. "I see somebody!" "That&apos;s another Red-tailed Hawk! Good one, Dan." A smaller bird perches just below the hawk, seemingly oblivious of who he&apos;s sharing a branch with. "We&apos;ll see how long his patience for that smaller bird lasts," Barron jokes. We hear a feathery fluster ahead, and I turn just in time to see a majestic Blue Heron take wing. "That wingspan is five feet," Barron says. "I&apos;m so glad we got to see him fly. He&apos;ll stand in the water for hours, not moving. The fish eventually let their guard down and, seeing his legs as just sticks, swim by. He&apos;ll then stab them with that beak." We take a side-journey into the tributary Mine Run Stream, a silent flow that joins the Perkiomen. Entry requires some careful paddling and a duck under the overhanging branches, but the result is well worth the effort. The sun is almost obliterated by the canopy of green, and the temperature immediately drops ten degrees. The water is very still and, encased by beauty, we all fall silent. I am a million miles from civilization. Sadly, we exit our little oasis and return to the center. We disembark, climb the hillside, return our equipment and take up our 21st century existences again. There is consolation, however, in knowing that we can return and enjoy the restorative power of an unplugged excursion like this again and again. Canoeing at the John James Audubon Center at Mill Grove is available for individuals or groups. Tours are held afternoons on Tuesdays and every other Saturday. Thursdays hold the special appeal of evening hours, meaning the Perkiomen is bathed in the golden light of the setting sun. This year, the canoeing season is being extended throughout September, with tours leaving each Thursday evening and Saturday, September 6 and 20. The fall foliage will be dazzling. Following your time on the water by checking into a cozy nest is a great way to spend a weekend. Fly over to our website and scan our listings; you won&apos;t have to be eagle-eyed to find something that suits your tastes and budget. You can also be a good egg and treat the family to a meal out. Dining at the Garden Grille & Bar will make your peeps happy, which is definitely a feather in your cap.